If you are looking for a pad that to use for daily cleaning of floors like vinyl, linoleum, and wooden floors, then Twister has the perfect pad for you. This purple SuperClean pad has been made to effectively remove dirt from these types of floors with use of special micro diamonds. These diamonds require no chemicals to be effective, but water is still required for this specific pad. Also, this pad should be only used with a low speed machine that runs at or below 350 rpms. To achieve an additional high gloss shine to your floors after using this purple pad, please look at our Twister SuperGloss pad which can be used on the same type of floors. 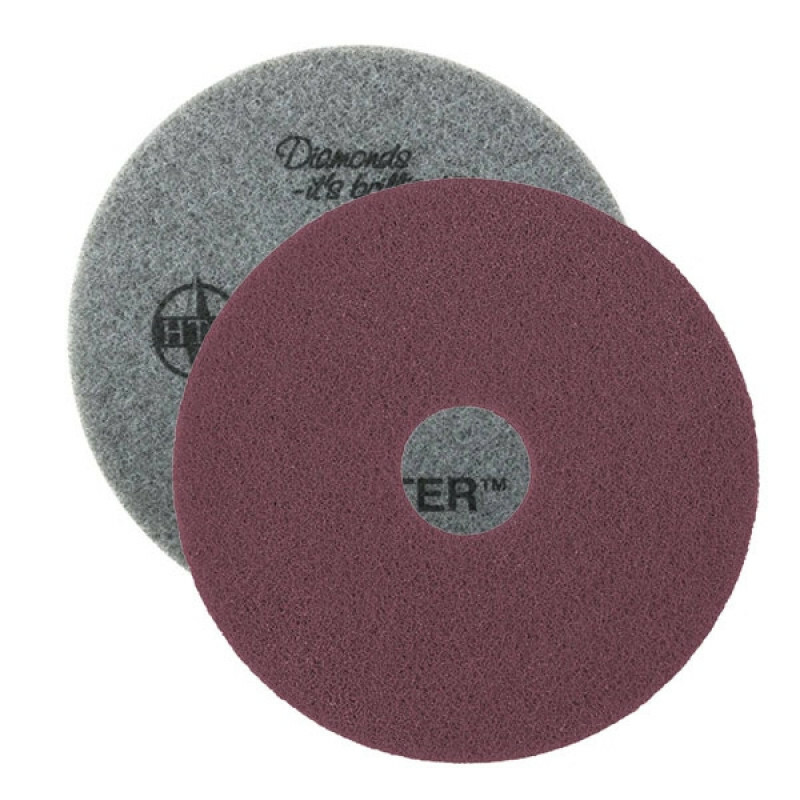 The Twister line of pads all feature use of micro diamonds while cleaning the floors. These diamonds will clean and polish your floors without any need for expensive chemicals. Often, these pads only require water when being used, and some can even be used dry. Please check each pad to see if it is best used wet or dry. Omitting chemicals from the cleaning process is safer on the environment and workers while also saving your company money in the long run. Diamond pads can last up to 3 times that of other pads, even though they are built to only be used on one side. The pads should be checked regularly and replaced when the backing starts to show through on the colored side. Pads can be simply swapped out of your floor buffer just like any other pad since they don’t require any proprietary equipment. Daily use of these pads will produce a safer floor that resist dirt and wear while cutting down on slips and trips.